Vadamalaiappa Pillai reinstalled the original icon in the temple in the year 1653. The replacement icon was then consecrated in the shrine of Tiruppirantîsvarar alias Venku Patcha Kovil situated east of Palamcottah (known as Murugan Kurichi). 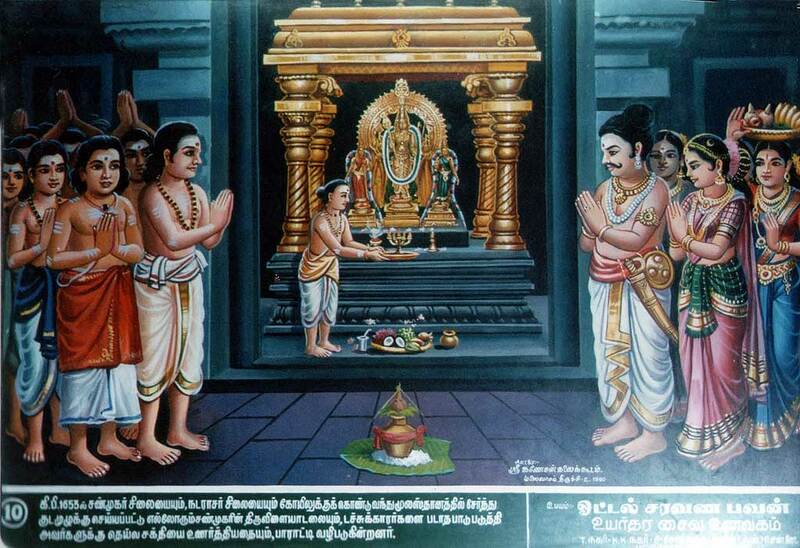 Vadamalaiappa Pillai was greatly struck by the Lord's grace in giving him this great relief, in memory of which he erected a mantapa near Thoondikai Vinayakar Kovil at Tiruchendur in his name and endowed it largely for the performance of a Kattalai for Subrahmaniam on the seventh days of Masi and Avani festivals. An inscription at the mantapa relates the incidents referred to.